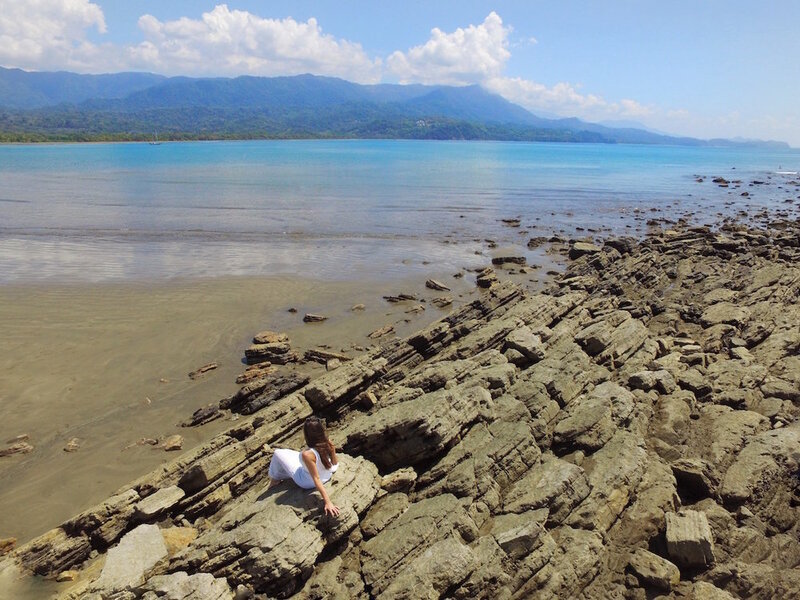 Marino Ballena National Park is one of the best things to do in the Uvita and Dominical area and for good reason, the park is beautiful in its own right with jungles and mountains dominating the coast line and a naturally occurring formation that appears only at low tide. Two currents converge and the result is a shape resembling a whales tail. What is even odder is that you have a good chance of seeing humpback whales at this exact point. Tip: I didn't see any whales during my short trip to Costa Rica but if you are looking into whale watching tours and trying to figure out the best time of year to whale watch in Costa Rica check out this post by a great Costa Rica travel blog; Two Weeks in Costa Rica. Why Visit Marino Ballena National Park? 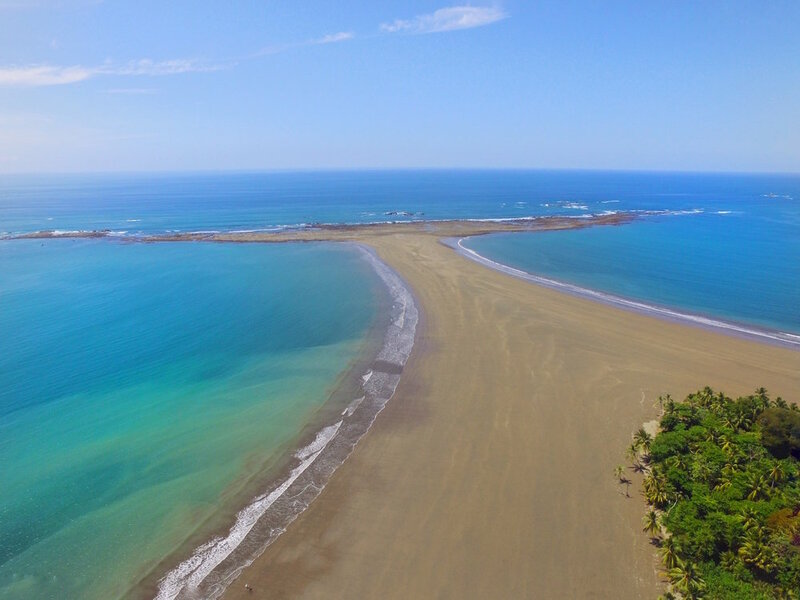 Marino Ballena is one of only two protected marine parks in Costa Rica and has 13,000 acres of protected ocean. Plus, there is over 14 km of coastline to enjoy, a huge coral reef for snorkeling and scuba diving and 270 acres of protected land to explore. The sea is usually quite calm which makes Marino Ballena one of the best national parks in Costa Rica for families with young children. Marino Ballena National Park is in the Puntarenas province and is 16 km south of Dominical. The park is closed on Mondays, every other day it is open from 6 am – 4 pm. If you want to watch the sunset on the beach (which I recommend) you must be in the park before 4pm. If you are going to the park to enjoy the beach and the whales tail you should check the tide chart. The only time the whales tail is visible is at low tide. At the peak of low tide you can walk all the way out and explore the rocks. I walked completely out and saw many crabs scurrying around. There are 4 entrances to the park (Playa Uvita, Colonia, Ballena and Pinueles). 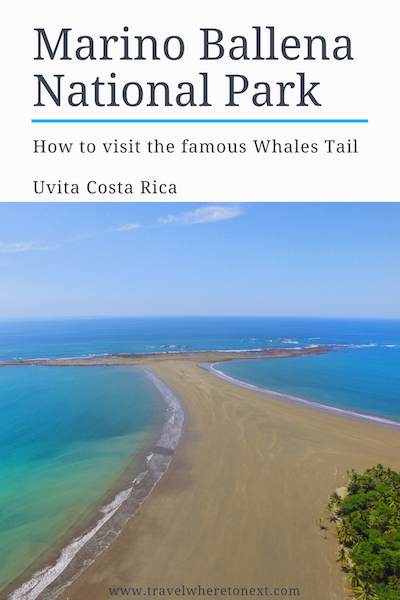 If you want to visit the whales tail I suggest using the popular Uvita entrance. To get to the Uvita entrance take route 24 to the town of Uvita and look for the entrance near 'Dolphin Tours'. This road takes you all the way to the visitor center in less than 5 minutes. As you are driving yourself you will start to see many self run parking lots. The lots furthest from the entrance will have guys in official vests standing in the middle of the road telling you there is no parking further down, this isn’t true. Ignore them and continue driving. All the lots are the same price (2000₡/$4). Depending on how busy the park is that day you can park in one of the lots extremely close to the entrance. Tickets for the park cost $6 and once you buy a ticket you can go in and out all day. From the small visitors center is a straight path that winds through a bit of jungle and empties out onto the beach. If you come at low tide (make sure to check a low tide chart) you can walk all the way out to the whales tail and explore the rocks. There is no defined path in the shade so be sure to wear sunscreen and bring water. The walk out to the tip is at least 20 minutes. 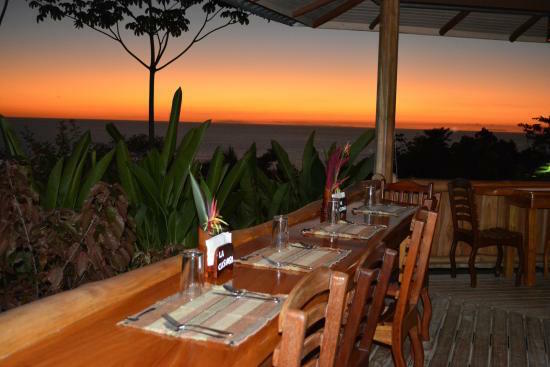 There are many lodging accommodations available in Uvita or the larger town of Dominical. 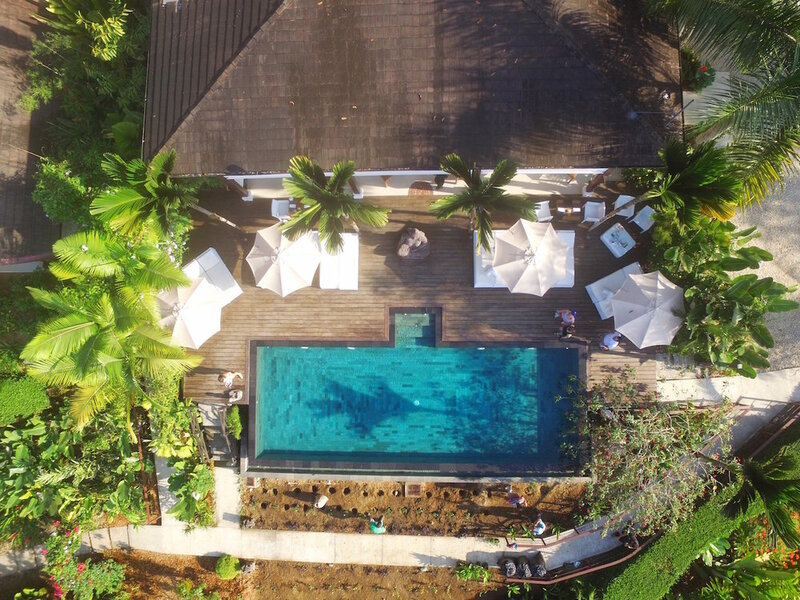 I had the opportunity to stay in 3 separate hotels in Uvita. Click on the links to read the full reviews and find out more on pricing, location and amenities. For honeymooners or couples wanting a romantic getaway, I suggest Oxygen Jungle Villas. For luxurious accommodations in a small boutique hotel close to the beach, I suggest El Castillo. For a more rustic experience staying in a cabin and on a huge nature reserve, I suggest La Cusinga. If you are looking for a family-friendly hotel in Uvita I also suggest La Cusinga or El Castillo.